Cincinnati has a lot of really big, really awesome events: Oktoberfest, the Cincinnati Flower Show, Riverfest, the Fringe Festival, Taste of Cincinnati...the list goes on and on. 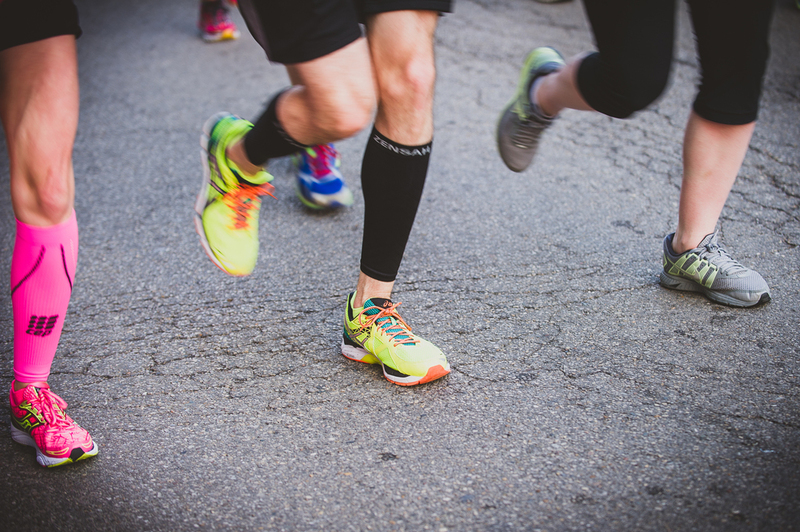 Basically, if you're interested in something, there's probably an event for you, and our runners aren't about to be left out. 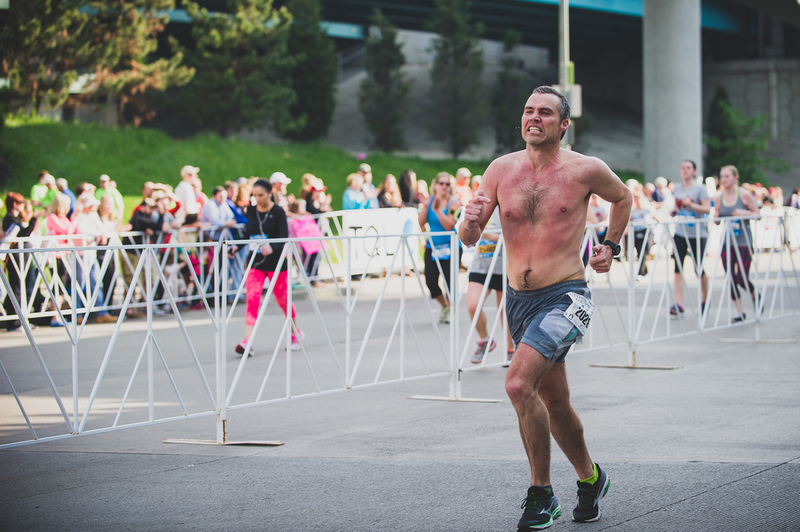 For anybody that's into the idea of strapping on some light but supportive sneakers, getting outside, and pushing yourself to go the distance, Cincinnati has reserved one of our biggest events just for you: the Flying Pig Marathon. 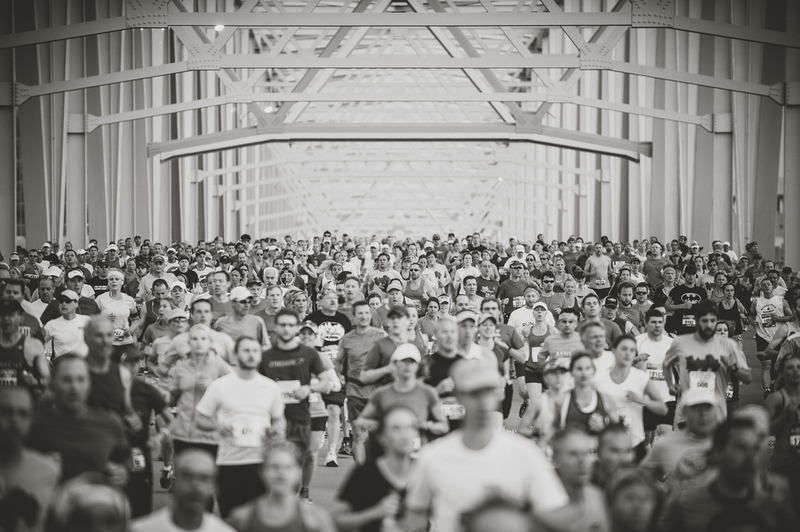 Named as a funny homage to Cincy's history as "Porkopolis," the Flying Pig Marathon is a reminder of our city's past, which is steeped in the meat-packing industry. 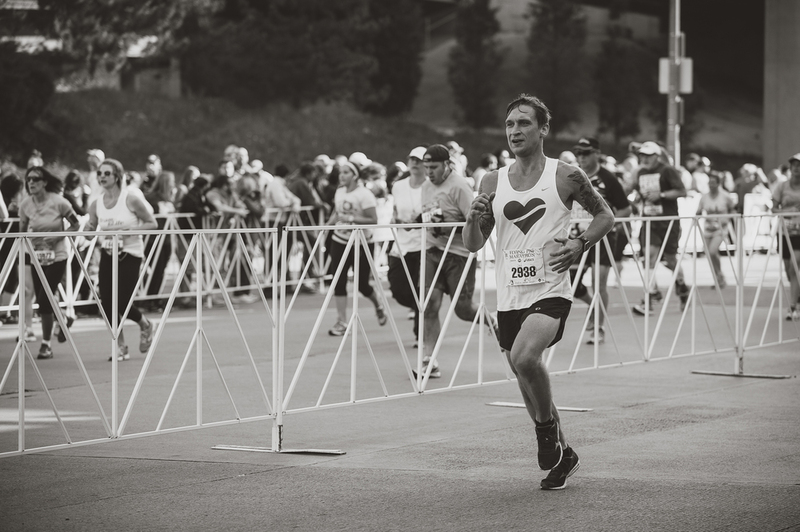 But don't let the name fool you, this is all about being fit. In fact, just to capture part of this event, I had to jog and run over 6.5 miles...while carrying over 16 lbs. of camera gear...after being awake for over 22 hours straight (it's a long story, lol). Thankfully, I'm used to being on my feet for 16 hours a day at weddings were I'm constantly walking, running, crouching, jumping, and climbing to get that 'perfect' shot. 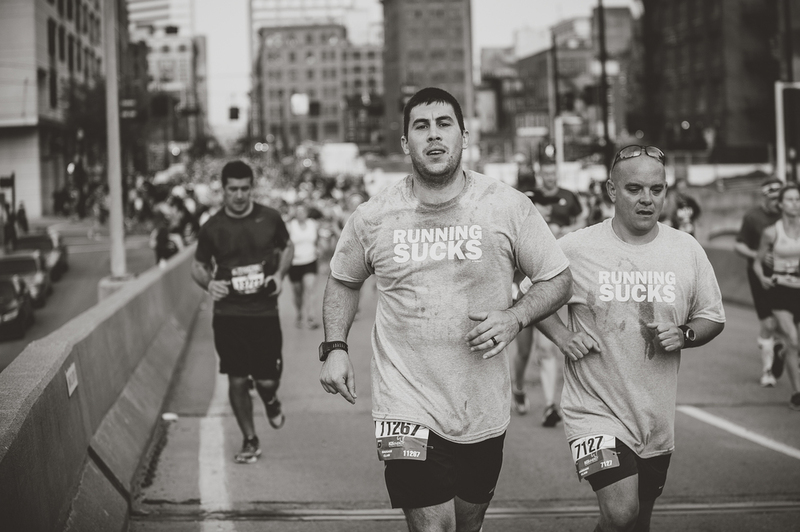 Plus, it was more than worth it to show support for the people who were really working hard: the runners. 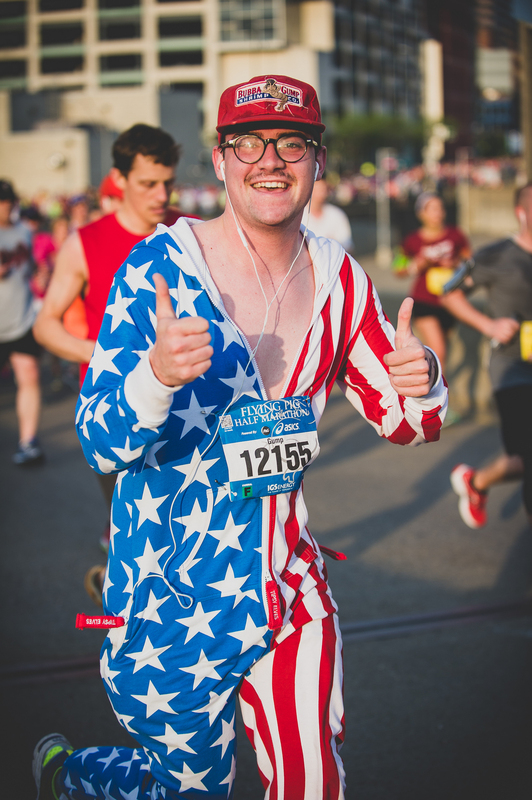 So congrats to all the participants of the 17th Cincinnati Flying Pig Marathon! If you see yourself in any of these photos, or if you saw me at this event and think I may have caught you with my lens, emailus@breightonandbasette.com and we'll send you a free digital copy of your photograph.